Cassia County is a county in the U.S. state of Idaho. As of the 2010 census, 22,952, people lived there. The county seat and largest city is Burley. 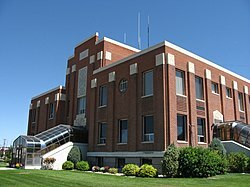 Wikimedia Commons has media related to Cassia County, Idaho. This page was last changed on 15 January 2019, at 01:52.